Editor’s Note: This is a guest post by Andy Fossett. Fitness – The degree to which one is fit for the task at hand. Since being fit to watch TV is different from being fit to run a marathon, play a game of soccer, or do a back flip, most people have varying personal definitions of fitness. In fact, we each define fitness personally as the ability to perform the specific tasks we choose. When you look at things this way, it becomes clear that fitness is a skill – the skill to move your body as you desire. But if fitness is really just a measure of skill, why do most fitness programs focus exclusively on work capacity? Rather than a mindset on improving weight/volume/time/reps/insert your metric here, what if we judged progress by our ability to perform a certain maneuver? It’s nice to push 10 more pounds overhead than you did a couple weeks ago, but how much cooler would it be to pop into a handstand in the office whenever you are bored? Or be able to hop over a fence if that mean neighborhood dog is chasing you? For many goals, skill is the real key to achieving the particular type of fitness that you are after. 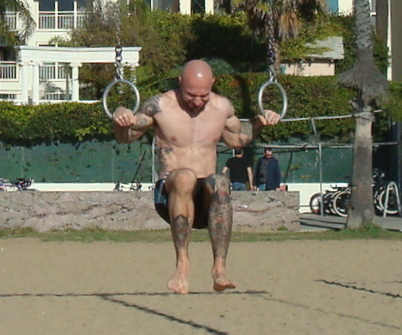 These movements take time and practice to develop. 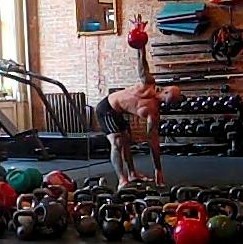 For a prime example of how skill training effects the attribute of strength, we need look no further than gymnastics. It’s refreshing to train this way – mentally as well as physically. We change our goals from more/longer/faster, to better and more skillful. The kicker with this mindset is that training with a focus on skill also brings pretty impressive levels of strength. How’s that for a side benefit of having fun? A lifelong martial artist, Andy Fossett began studying fitness and physical training so he could teach his students more effectively. 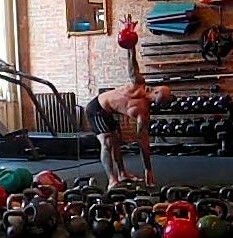 It became a bit of an obsession, and he co-founded Gold Medal Bodies to develop the skill of strength in 2010. Good article. I actually started practicing pull ups precisely because I got chased by a dog when I was out for a run. It was a small dog that time, but I figured the next time it might be a pitbull and I needed to be able to climb a tree! Haha I love that story, Jim! Keep up your training and one day you might be able to take out that (hypothetical) pitbull with your bare hands! That’s hilarious. 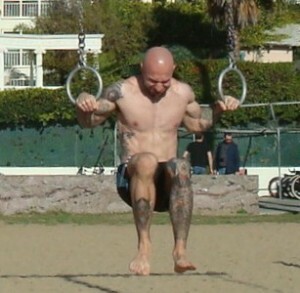 Next time I do pull-ups, I’m going to visualize a crazed pit bull chomping at my toes – I’m pretty sure that’s good for a couple extra reps at least. A lot of people I work with are in their 40s up to 60s, and they seem so much younger. I really think there’s something to that curiosity and willingness to try new things that keeps people young. One of the great things about working out is that there are so many options and variations, you can never really say youo’ve done it all. I agree Andy – learning new things keeps both the mind and body sharp. Glad to have had such a positive influence on you, Chad. Exercise is the fountain of youth! People like you and Andy are great influences, Al. I love the articles that you write, as well as, articles from your guest authors like Andy! Keep them coming! Pyrros Dimas training, he weighs 175lbs and looks completely normal, does not have bulging muscles, and is doing power cleans up to twice his body weight. No bodybuilder of any weight could do what he is doing. That shows that it’s not the size of the muscle that counts, but how you teach it to do the right thing. Nice video, Ilan. I wouldn’t say that guy looks “completely normal” though – he’s clearly in better than average physical shape, but yeah, he doesn’t look like a bodybuilder! It’s obvious that his technique rather than his raw strength is what allows him to perform such an impressive feat. Yes, you’re right that he does look quite fit. However, you did classify this under “rants and raves” so I was ranting and raving at the time I wrote it (actually, I do that all the time). Anyway, maybe his looks is why Pyrros married a beautiful Greek TV personality? Haha thanks, Ilan. We all need to go on a good rant now and again! I bet you got pretty good at it by the end of the summer. That’s the specificity principle in action!